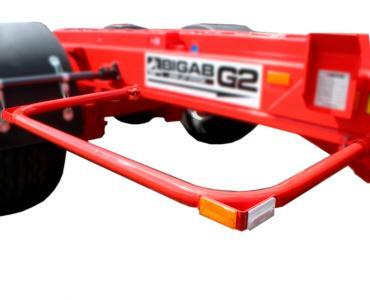 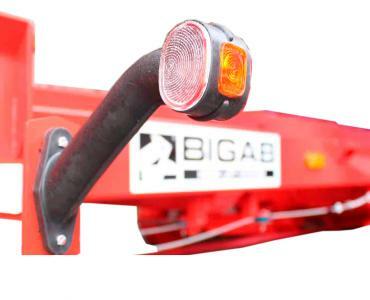 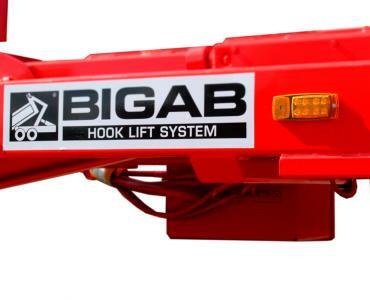 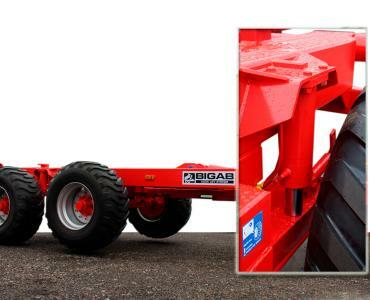 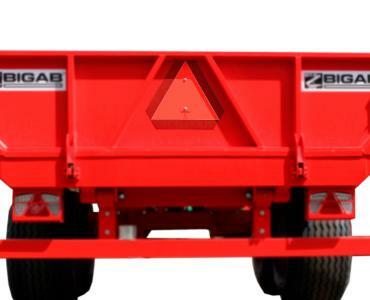 Strong, economic design and good value for money are terms well fitted to the BIGAB 20-24; the trailer for those with heavy-duty transportation needs. 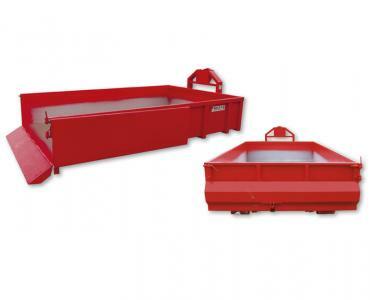 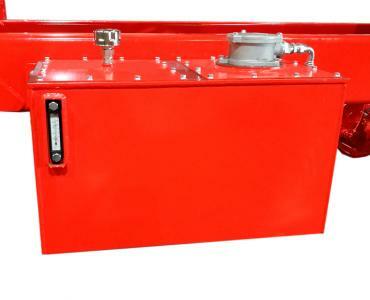 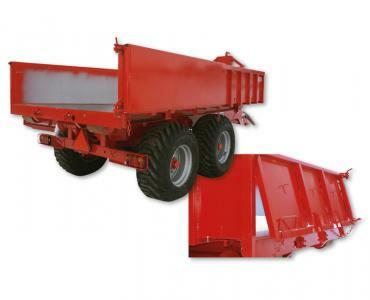 Its many areas of use range from, for example, grit and sand transportation to crop harvesting. 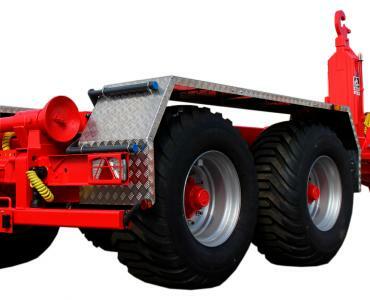 It can also be combined with truck transport. 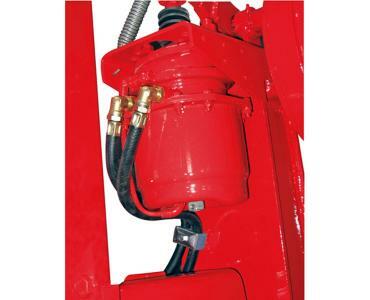 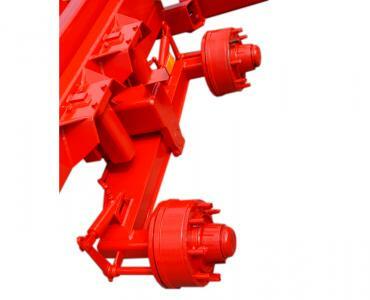 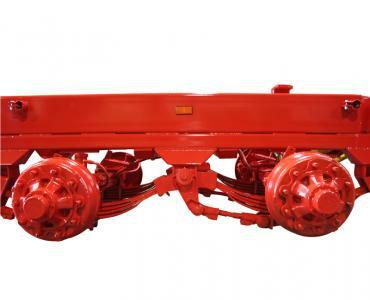 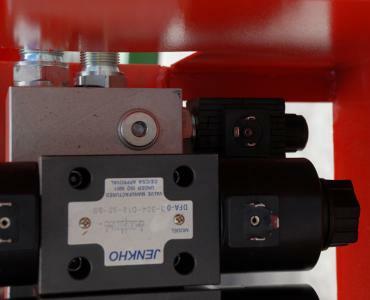 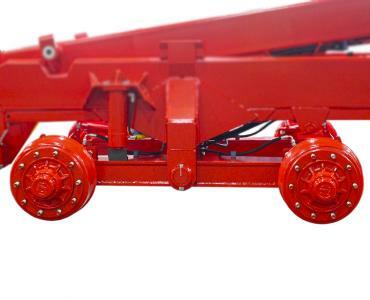 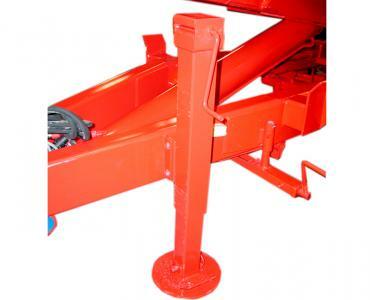 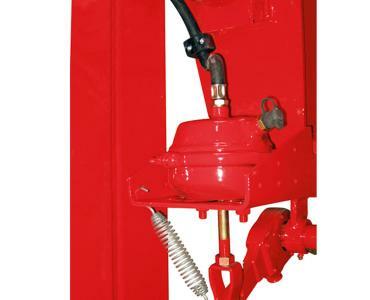 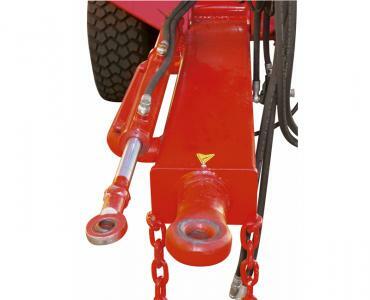 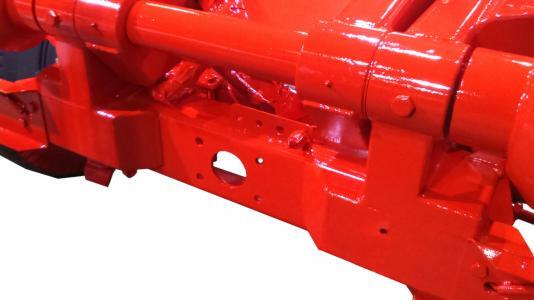 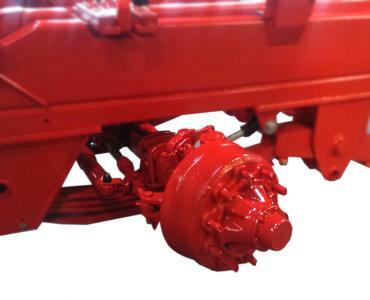 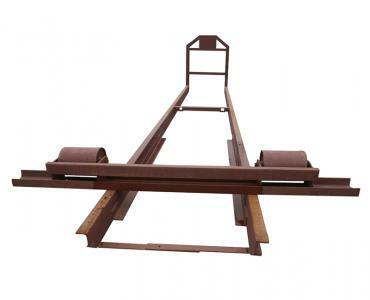 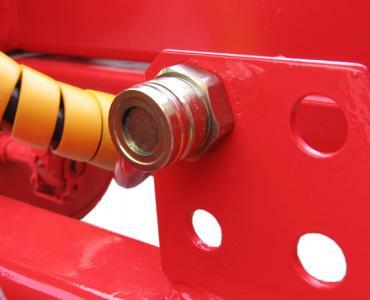 A strong pendulum bogie is fitted as standard equipment. 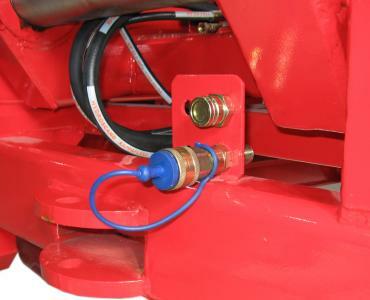 There are several suspension alternatives available as optional equipment. 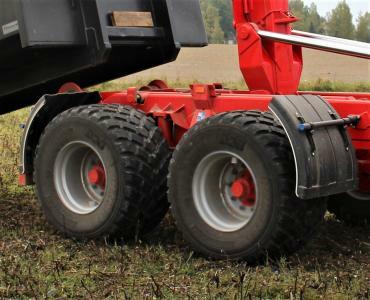 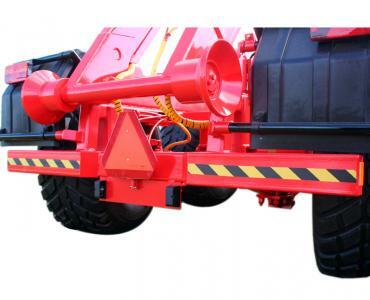 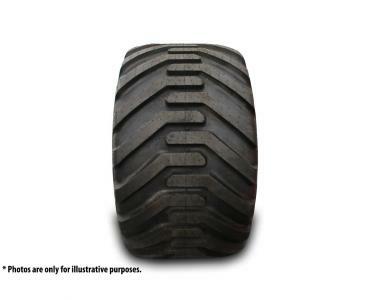 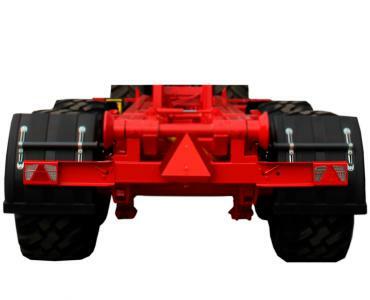 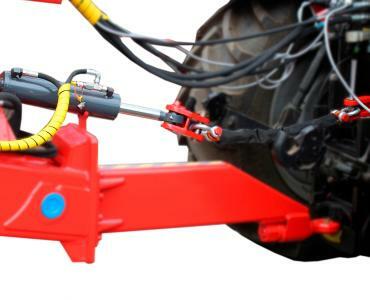 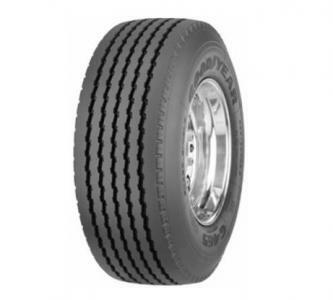 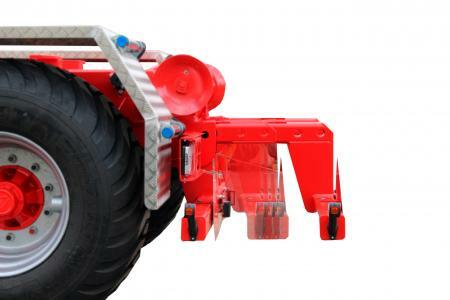 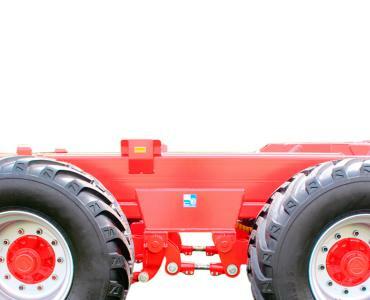 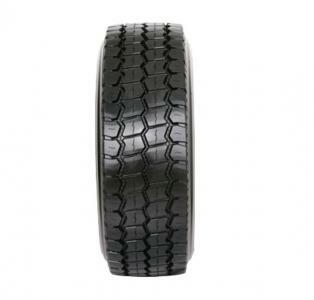 There is also a wide range of tyres available to adapt the trailer perfectly for its task. 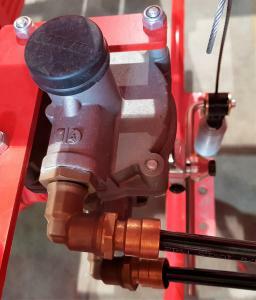 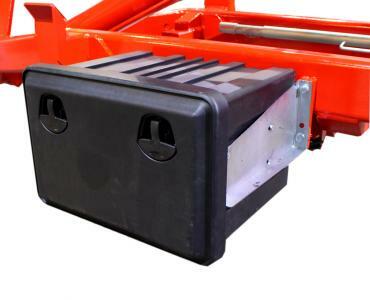 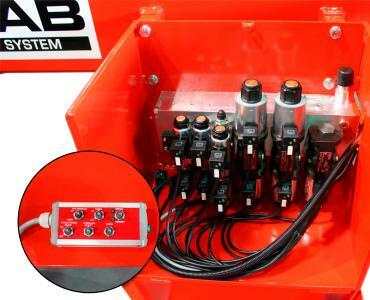 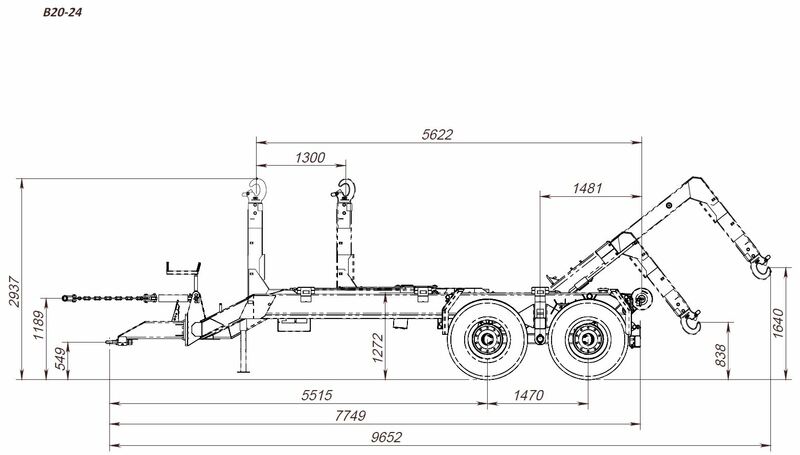 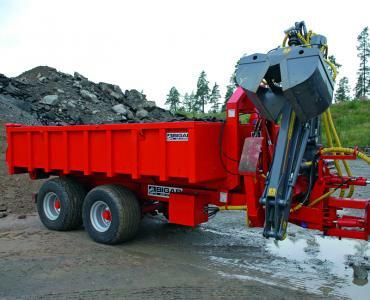 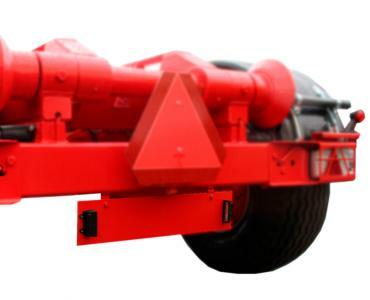 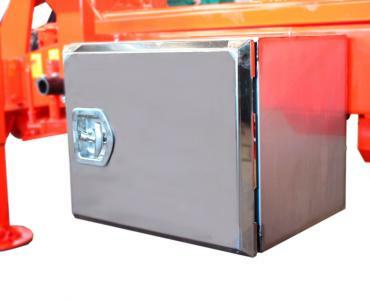 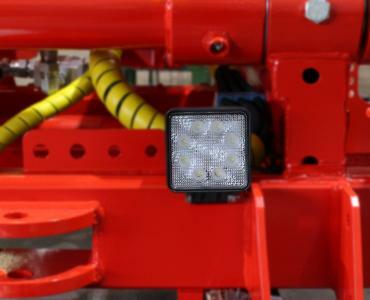 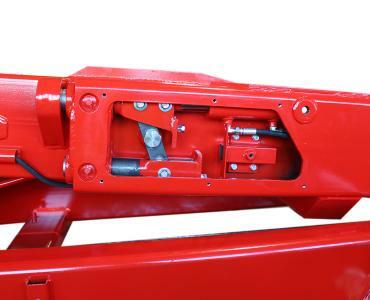 In addition it is equipped with hydraulic control between tipping and exchange, hydraulic bogie blocking, half front and rear mudguards as well as an electric control valve for the hydraulic functions (pressure and free return) with a control unit in the cab for convenient use of all the trailer’s functions. 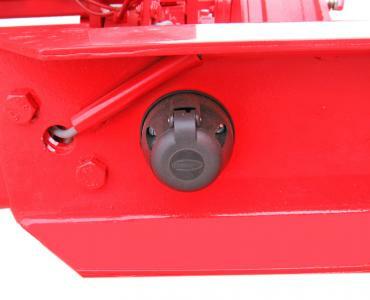 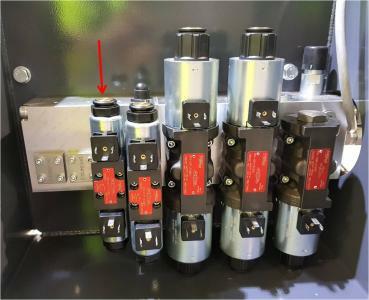 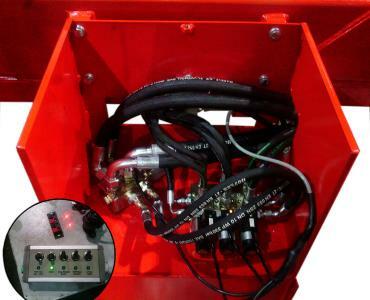 Two extra auxiliary functions can also be installed. 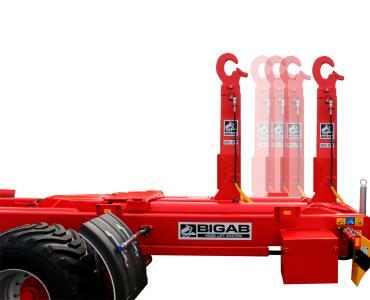 The exchange system has a extending tower, which makes it possible to handle and tip container bridges between 5,500-6,500 mm long. 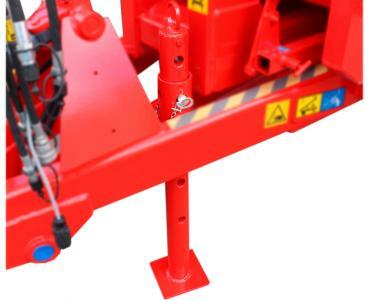 For further information about the equipment of this model or the possibilities of adding extra, please see the headline “Equipment”. 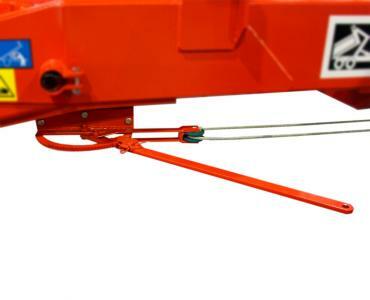 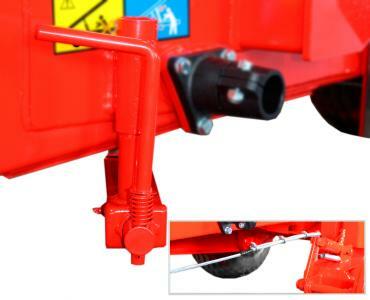 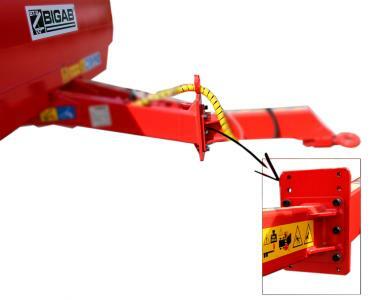 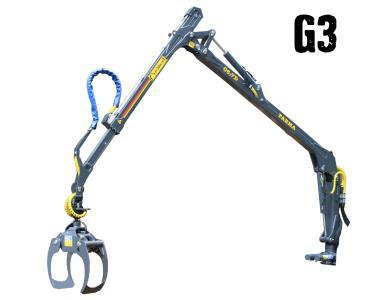 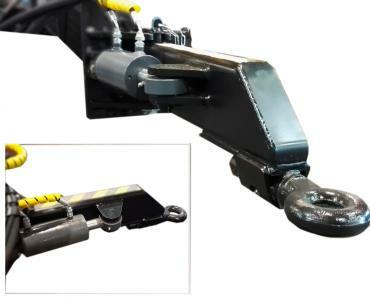 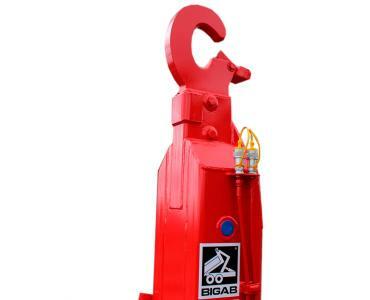 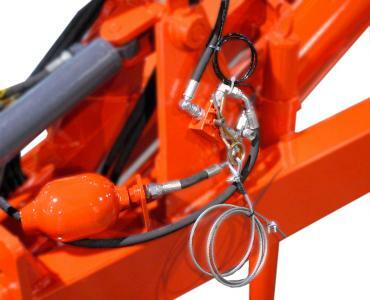 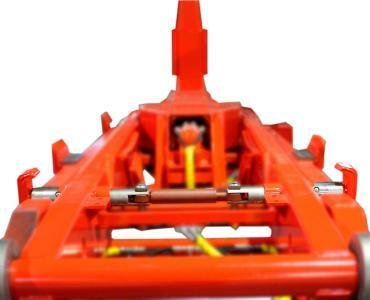 In case of crane mounting the max load will be decreased by the crane weight. 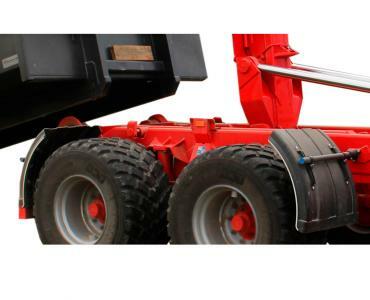 Exact number depends on crane model.